Since the end of the Second World War, public psychiatry has made great strides which have carried it beyond the large psychiatric hospitals built to isolate the sick from their communities and to keep then under surveillance in order to ‘cure’ them (Gauchet and Swain 1980). Schematically, this development has differed slightly in the Anglo-Saxon countries and in France. In the Anglo-Saxon countries so-called community psychiatry could be described as an attempt at self-management of the lives of patients who form a community analogous to a religious order: the monasteries, as it were, set up a new model of organization for psychiatric institutions, which, simultaneously, wish to open up to life and to regulate their internal routine according to rules which are determined both by the nursing staff and the patients themselves. These psychiatric communities developed at the end of the war and during the 1950s. Their consummate model is that proposed by groups that adhere to what had been called the anti psychiatric movement in the 1960s: there is no differentiation at all between the patients and the nursing staff, who no longer run the administration of the psychiatric institution—the nursing staff and the individuals being nursed exchange their roles and help each other, etc. The names Laing, Cooper, Szasz, Basaglia, and so forth, are linked to this concept which clearly denies all nosographic and psychopathologic approaches. In spite of the fact that these theoroclinical approaches were abandoned almost universally, one can see traces still extant in the development of halfway houses (that will be dealt with later). Moreover, it is quite possible that the anti psychiatric movement left its mark on the families of the mentally sick, who prefer that their relatives be considered not as dependent on psychiatric treatment but as crippled, disabled—in a word, handicapped—people to be supported by pensions, not to be nursed but to be trained or rehabilitated. Work becomes the salvation and specialized workshops become the required institutional model; work there is intensive and behavioral demands are the rule. The study of conflicts is replaced by research into cognitive deficiency. This brief historical review is intended to recall the development of community psychiatry and what one could call the degeneration of a movement that was liberal and noble at the outset. In France the development of community institutions followed the trend of institutionalized psychiatry and ‘institutional psychotherapy’, whose principles are still applied in certain community facilities. But, in a weaker form, these principles remain alive in the daily administration of patients’ meetings and in their participation in the decisions of institutional life. Naturally, these efforts are specially planned to help the poor population that does not have access to the care that wealthy families can afford, whose sick members are not treated in public facilities. Moreover, advances in psychotherapy should be extended to this type of patient; the need for preventive measures has also led to the development of community psychiatry, which addresses the most impoverished and deprived fringe of society that does not have access to care and that is not prepared to understand its nature and thus benefit from it. This is often the case among disadvantaged families, whose children, once they are adolescents, start to drink, take drugs or demonstrate psychopathic behavior and, while they are babies, have to be stimulated and protected against serious neglect. Therefore, a function of psychiatry should be to discuss with the decision makers the kinds of measures to be implemented to make use of the resources of the community and the actions of the key people working there. Special programs are conceived to meet the needs that have been identified in at-risk populations. These active and selective policies are being carried out through these programs, which also permit evaluation studies on their effectiveness. Naturally, a community life, so rich in the Anglo-Saxon countries, enables the implementation of this type of psychiatry that has sometimes been extolled as the third psychiatric revolution, following the one symbolized by Pinel’s gesture liberating the insane from their chains and that of Freud, introducing psychotherapy, made possible by psychoanalysis. In France ‘psychiatrie de secteur’, or ‘regional psychiatry’, was established by regulation in the 1960s. These regulations specified the rules that control it. The resources of public psychiatry were systematically deployed for the benefit of approximately equal numbers of people in each region or ‘sector’. The ‘sectors’ of general psychiatry address adult patients while the ‘intersectors’ of child and adolescent psychiatry address children (and their families) undergoing either outpatient or inpatient treatment. The centralizing spirit underlying this organization led to the definition of institutional policies that it made necessary and the kind of action that psychiatric teams should adopt. Outpatient approaches should take their lead from the efforts made in inpatient psychiatry where there was an increase in part-time care facilities and in ambulatory care. Breaking France into ‘sectors’ gave existing teams greater freedom and made it possible to implement very diversified programs. In certain respects, what was once institutional psychiatry drew closer to other branches of medicine and many approaches first implemented in regional centers were adopted by general hospitals. The resources of the community were better and more widely utilized. One would be right in thinking that sectoral psychiatry has largely altered the general characteristics of the care provided to the mentally ill, that it has enabled genuine advances in child psychiatry and that it has led to an expansion of psychotherapeutic care. Nevertheless, economic factors, advances in neurobiology and in psychopharmacology have led to some criticism of community psychiatry, which we must now consider. One should strive to reduce full-time hospitalization and develop as many kinds of part-time hospitalization as possible. One should concentrate on providing the poor population with access to all the psychiatric care it needs. However, one should avoid too systematic a recourse to psychiatry on the one hand by utilizing the resources of the community and on the other by not underestimating the importance of social problems simply because one has had recourse to psychiatry. Let us remember that the expansion of the field of mental health should be taken into account. A large number of manifestations of depression should be added to chronic psychoses—these are a part of daily life, the stress that characterizes the life of the inhabitants of large cities in industrial countries, and sometimes caused by the pursuit of leisure activities which do not relax them as much as they hoped. These individuals, who are easily tired, suffer from insomnia and are unhappy, have not attained the level that they aspired to. They would like to stay young and have a full and gratifying sexual life, they want to advance professionally, they take care of their bodies but they also profess to be beautiful and eternally young. Their motto seems to be: right now. They resort to the care of their family doctors unless they seek to attain their happiness by relying upon so-called alternative medicine or they fall prey to new types of psychotherapy whose principles sometimes depend on premises bordering on charlatanism. It would, therefore, be advisable for mental health specialists to find a way to talk with these ‘specialists’ and, even more, to find a way to co-operate with general practitioners. As a matter of fact, the latter should learn not to respond too quickly to requests to miss work. They prescribe antidepressants but they often give too many rugs an suggest prolonged polymedication, which permits families to resort to self-medication. This encourages the use of anti-anxiety rugs or sleeping pills by other members of the family, which creates the risk of leading all of them to addiction exemplified by the toxicomanic behavior of children. Once they become adolescents, they may, in their turn, become depressed and use drugs for suicide attempts. These sick individuals, who are very costly to the social security agencies, necessitate close co-operation between psychiatrists entrusted with public health tasks and the general practitioners. Morbidity through depression, as one can see, has significant frequency and requires the preferential attention of mental health centers, both in their policies and in the evaluation of measures undertaken. Neuroses also lead to psychiatric invalidism, even if one attempts to divide the field of nosography, doubtless with the idea oflimiting therapeutic aims to simple relief from the manifestations that one likes to categorize under the name panic attacks, which allows their treatment to be limited to the otherwise effective prescription of anti-anxiety drugs or to behavioral therapy. These considerations demonstrate the difficulty in defining the field of mental health when vicissitudes cannot be defined using criteria of sickness, suffering or abnormality. One must also include problems in being happy if they are linked to psychopathic disorders, narcissistic disorders, and so forth. Problems of living involve undeniable risks for the future and are very difficult to treat. Epidemiologic studies evaluating these risks are essential in order to ascertain the best methods of dealing with these sorts of problems and should also assess the value of proposed therapeutic solutions and study the value of general measures when the therapy intends to improve the quality of life. The mental health programs should increasingly bear in mind the advances in child and adolescent psychiatry which are becoming more and more concerned with dysfunctions of early interactions in babies and very young children. But, in this field, psychiatric centers should particularly attend to the quality of co-operation with public health agencies and with all the social and hospital workers who are outside the field of traditional medicine. From now on, the concept of holistic health should be emphasized. When one considers the importance of a child’s mental health, one must not neglect the social field. It is in school where the child’s troubles are primarily manifested and one must remember that the child is taken to the mental health center by its family, which is itself worried or which is urged to take this tack by professionals as a result of behavioral problems or the retarded development of the individual they wrongly call a consultee. One cannot work with a child without his agreement, whatever the child’s age, but one cannot dispense with the co-operation of his parents. The latter are afraid of being judged by the psychiatrists and, in any case, never ask to be treated. Therefore, new tactics must be developed for a family-centered approach. Contributions from studies on the homeostasis of family systems must also be taken into account. 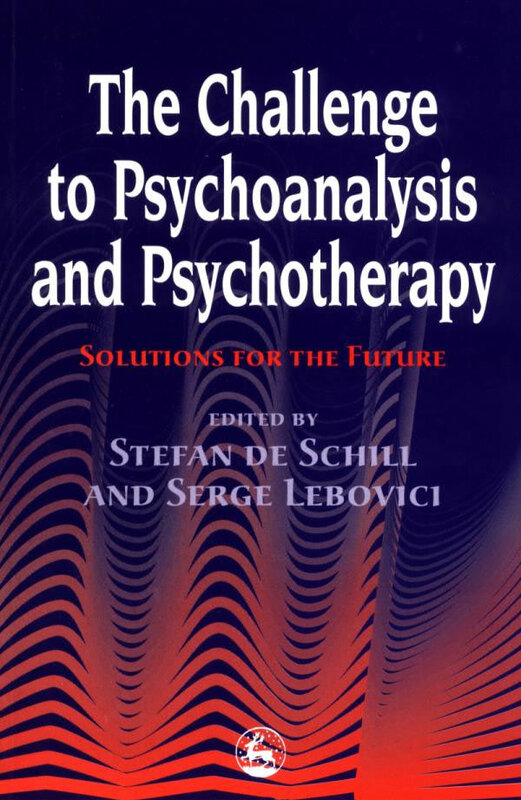 Historically, there is no doubt that the bonds between psychoanalysis and community psychiatry were established during the 1960s. The expansion of the latter was, in many respects, the reflection of the wealth of the former, both in its psychopathological approach and in the realm of its psychotherapeutic applications. As one knows, neurobiological research has expanded considerably and, luckily, has enabled important advances in pharmacotherapy for mental disorders. This fact should not detract from the importance of psychopathological studies or of psychotherapy. Unfortunately, this is not so. One certainly does not regret that neurobiology expanded our understanding of mental disorders and encouraged cognitive and neuropsychological research, but research is greatly hindered by resistance to the awareness of the role of unconscious conflicts and denial of interest in all psychopathological approaches. Concern for the evaluation of therapies requires collecting data that should obviously be computerized, leading to attempts at classification—erroneously called atheoretical in the DSM III type—and leading to the risk of depriving psychopathological research through the publicity that accompanies its diffusion. We have seen in the foregoing discussion what pressures can be exerted by some influential associations of the families of mentally ill individuals in their fight to de-emphasize the use of medication in care facilities: they would like to set up centers whose aim would be to re-educate the mentally ill or to integrate them into society. There is no doubt about the benefits of re-education through work or occupational therapy, but what remains is that the families would like these facilities to aspire to nothing but the re-education of their children—who will no longer be patients to be treated but handicapped individuals who are owed compensation. We are not talking about generosity or even about the necessity for social laws that provide disability benefits for the mentally ill, but, at the same time, one can see how these laws can condemn the mentally ill to chronicity through the easy way out they provide to their families and to the decision makers. The ambiguous ‘sector’ (or regional facility) in question runs the risk of making patients into invalids who will be confined in ‘charity’ institutions while the true treatments will be furnished in hospital facilities well equipped for research, but solely in neurobiology or in neuropsychology, while all psychotherapeutic approaches will be discredited. Nevertheless, apart from the patients who run the risk of being considered as nothing but cripples, this policy has the advantage of aiming, to the highest degree, for the mainstreaming of individuals, especially children, under observation. Psychiatric teams should, nevertheless, take care that the presence of sick children does not run the risk of harming either the equilibrium or the progress of the communities into which one is attempting to integrate them. Public mental health centers should set up a plan and assess their actions. In all countries where care is based on public and private medicine, they should make sure that the groupings they observe correspond to a range of relatively compatible cases in two respects. On the one hand, in the composition of the groups of cases observed—which must include only severely impaired cases, cases resulting in an excessive burden on the service, an unduly large number of permanent inpatients and the demoralization and discouragement of the attending staff. The center should also handle light cases where returns are good but without making the measures undertaken seem too superficial. On the other hand, it is advisable to make sure that the sociocultural composition of the groups of cases observed, and perhaps treated, corresponds to the level of the less advantaged population—something that is not normally the case with private patients. One should remember that the most well-to-do families are also the most educated. It is they who have the best knowledge of the resources of public medicine and often monopolize it. records on the activities of the various team members. Of course, these records will be increasingly computerized, something that will permit necessary evaluations that, without any doubt, involve drawbacks. We will mention only a few. The technicians run the risk of not understanding the benefits of these evaluations and, as a result, fear administrative repercussions such as intervention into the treatment they are conducting—indeed, into the security of their jobs.